Warner Unveils The First Official Poster for Zack Snyder's 'MAN OF STEEL'! Warner Bros. have debutd the first official poster for director Zack Snyder's Man of Steel during their Comic-Con panel. Henry Cavill stars as Superman in the June 14th 2013 release & is joined by Amy Adams as Daily Planet journalist Lois Lane & Laurence Fishburne as her editor-in-chief, Perry White. Starring as Clark Kent's adoptive parents, Martha and Jonathan Kent, are Diane Lane & Kevin Costner. Squaring off against the superhero are two other surviving Kryptonians, the villainous General Zod, played by Michael Shannon & Faora, Zod's evil partner, played by Antje Traue. Also from Superman's native Krypton are Lara Lor-Van, Superman's mother, played by Ayelet Zurer & Superman's father, Jor-El, portrayed by Russell Crowe. Rounding out the cast are Harry Lennix as U.S. military man General Swanwick, as well as Christopher Meloni as Colonel Hardy. 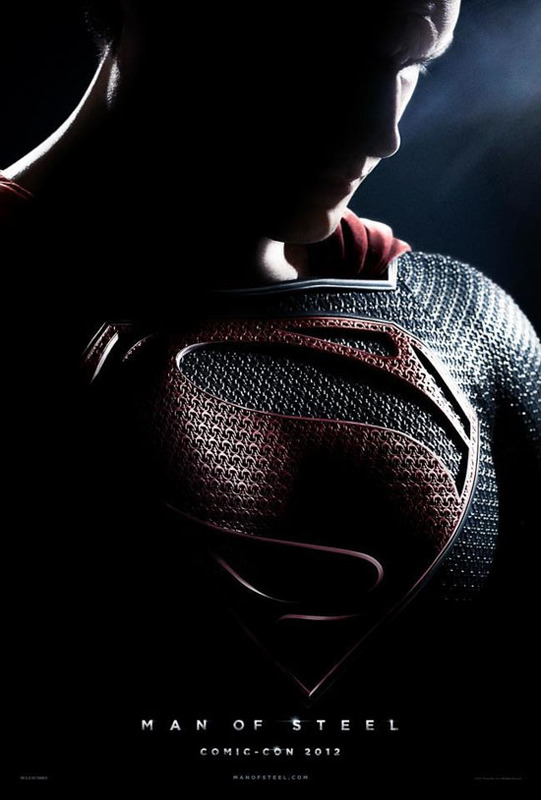 I'm reading: Warner Unveils The First Official Poster for Zack Snyder's 'MAN OF STEEL'!Tweet this!